Powermat will partner with handset manufacturers in 2011 to bring a phone which will wirelessly charge without a special case, TechRadar has learned. A spokesperson from Powermat confirmed to TechRadar that the company was working on this technology and we should see it sometime in 2011. "We are looking into putting the technology into phones but it is a complex process," a Powermat spokesperson explained. "Each phone has different charging needs so the sooner we get hold of a handset, the quicker we can come to market with a product. "Wireless charging has already happened in smartphones. It was in the Palm Pre but this was a handset which wasn't as popular as it maybe should have been." 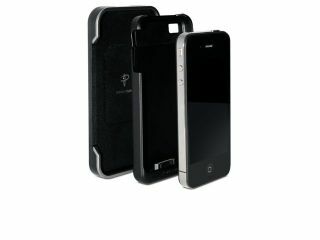 The new range of Powermat devices does include a number of slimlined cases. The iPhone 4 and the BlackBerry handset Powermat skins are almost indistinguishable from non-charging cases you get in the shops. But it seems that Powermat wants to go further with this and integrate the technology at the manufacturing stage. "It's likely you will see a phone with Powermat technology inside in 2011. That's the goal for us, to create a system that needs no case. "You just drop it on a mat and it charges."